Fact or Fiction: Is Nacho Cheese Bad for You? The public perception is that all nacho cheese is bad for you. Determined to uncover the truth in the matter, I felt inclined to investigate the nutritional data for three readily available nacho cheese products found at my local Safeway grocery store. Specifically, I wanted to directly compare the sauce-type nacho cheese with grated cheese that comes from a bag (as seen in the picture). 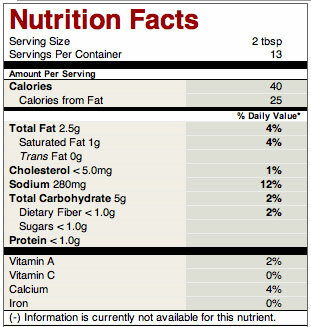 I wanted an "apples to apples" comparison, so I needed to take into account the serving size for each product. I chose to estimate serving size based on what I would personally eat during one nacho sitting. For both the sauce type cheeses (Frito-Lay and Tostitos), I selected 3 servings or 6 tabelspoons of nacho cheese sauce. 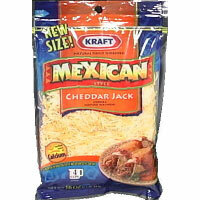 For the mexican style grated cheese from Kraft, I chose 4 servings (total of 1 cup) of unmelted grated cheese. Tostitos and Frito-Lay tallied between 12% and 18% of your daily recommended value for fat. Surprisingly, the grated Kraft cheese whoppingly totalled 48% of total recommended daily fat and a 100% of daily recommended allowance saturated fat. The nacho cheese sauce is a clear winner when it comes to fat intake. The Frito-Lay nacho cheese has zero cholesterol and the Tostitos brand was a close second at 3% of daily allowance. But the Kraft cheese again proved to be the loser for a health concience indiviudual with 100mg of cholesterol (32% of daily allowance). All three cheeses had similar sodium values hovering around the mid 30% range for daily allowance. The Kraft brand grated cheese had nearly double the calories from fat and 3 times the total calories compared to the Frito-Lay and Tostitos brands. Nacho cheese that comes in a jar (the sauce kind) is not nearly as bad for you as previously thought. I was shocked to learn how much fat and cholesterol was in the regular grated cheese from Kraft. While the Kraft cheese did have high amounts of calcium, it’s clear that when a health-concience person selects a nacho cheese, they should reach for the jar kind of cheese. I never would have thought you would get the results you did! Who would have thought highly processed canned cheese was good for you…I learn something new everyday! Yes! An excuse to eat the stuff in the jars! It’s cheaper anyways. Unfortunately, your methodology leaves out anything other than fat and cholesterol content. You cannot judge the healthiness of a food based on that alone. dude, you can’t say that one is healthier than the other based on fat/cholesterol alone!? what if the nacho cheese is made with mercury!?!? re-tune the methodology and bring us the factual version! yup….i like that guy..what a waste of life….go do something. get a life. 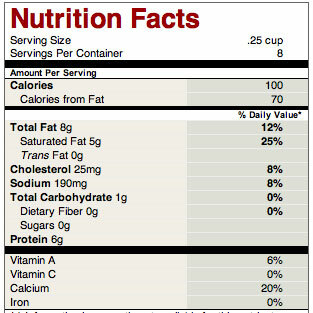 Nutritional wise Kraft nacho cheese is healthier simply because it’s real cheese. The processed cheese is higher in sodium content and is full of artificial color and flavor. Thirdly, the processed cheeses don’t contain any calcium whatsoever, whereas the Kraft cheese does. Kraft nacho cheese also has a higher protein content, and for those people watching their carb intake, it’s also lower in carbs. When it gets down to it, Kraft cheese is actually the healthier choice, and should be consumed in moderation. The other option is just going to the store and picking up some cheese made with skim milk and shredding it yourself. Besides, the best nacho cheese is Gouda. All your analysis is wrong. The serving sizes are completely different between the 2 products. The natural shredded cheese has a serving size of 1/4 cup, which is 4 tablespoons, while the process cheese has a serving size of 2 tablespoons. So you have to double all the numbers for the process cheese to get equivalent comparison!!! 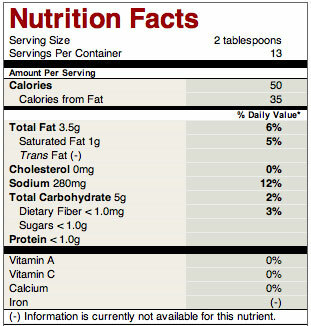 So there is no difference in calories or fat, but three times the sodium!!!!! The cheese in the jar has man additives. Among them is MSG (mono-sodium glutamate) which is in many products, but should be avoided at all costs. It is an addictive neurotoxin that acts as a flavor enhancer. Look it up…it is very toxic and it, along with aspartame, have been attributed to many disorders, such as MS and fibromyalgia. its unfortunate that people still believe in the conspiracy theory ridden BS thats spread throughout the net …. really? still with the aspartame nonsense? These results are completely ridiculous. First and formost, your portion sizes are completely imbalances. Second, you fail to look at the lack of nutritional value for the naco cheese…..no protein, little or no calcium, unhealthy additive, etc…When you eat food, you want to have things like fat when accompanied by proteins, calcium, etc. Lastly, MODERATION. You said a cup of shredded cheese….that is 4 times the amount of a recommended serving. One cup of shredded cheese is a lot of cheese for a serving of nachos. Try adding some other toppings on nachos like avocado, tomatoes, and shredded chicken in addition to the recommended 1/4 cup of cheese. It will make for a much healthier and nutritional serving of nachos. I’m not surprised that the affiliates of a nacho cheese site are cranking out backward results. Anyone who delights in consuming copious levels of highly processed, artificially colored chemical goo cannot be trusted to conduct their own nutritional experiments.